Mr. President, many millions of other Americans don’t like any of it either. 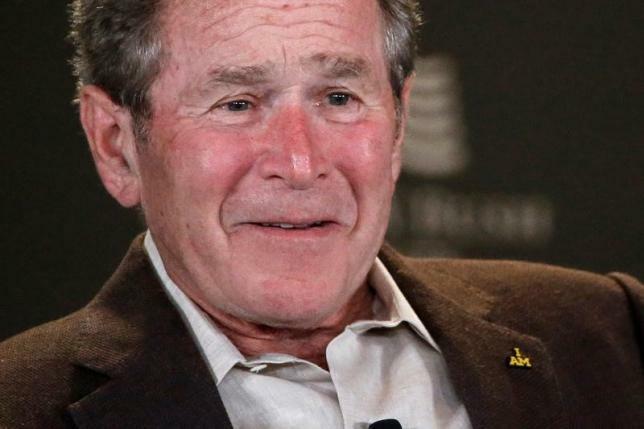 George W. Bush is speaking out more forcefully about one of the men who has succeeded him as president of the United States. Will the object of President Bush’s critique, Donald John Trump, listen to what No. 43 has to say? I rather doubt it. Still, the message needs to be delivered. And the former president is doing so in a measured, but unambiguous manner. Bush spoke with People magazine about his post-presidential hobby, painting, and also about Trump and the new president’s rocky first month in office. The ex-president was adamant about refraining from criticizing his immediate successor, Barack Obama. Not so, apparently, with Obama’s immediate successor. I want to share in President Bush’s optimism. Sadly, I cannot. However, I do mean that the president of the United States will step onto a significantly larger stage than ever before. The podium will be of, oh, standard size, I guess. He’ll be standing tonight in front of a joint congressional session. The vice president and the speaker of the House of Representatives will sit behind him. Applause will fill the room. Donald J. Trump will begin his speech. That’s when the pomp and pageantry ends and when we get a look at just how much he’s been able to “unify” the body to which he is speaking, let alone the country. I don’t know about you but I’m going to look at a few external factors as Trump speaks … assuming, of course, that I can power through the entire event. The Supreme Court justices will be there. Who among them will sit this one out? When Trump’s immediate predecessor spoke to these joint sessions, a couple of the court’s conservative justices — the late Antonin Scalia and Clarence Thomas — famously were no-shows. One or both of them said they disliked having to sit there while everyone around them were clapping and cheering. 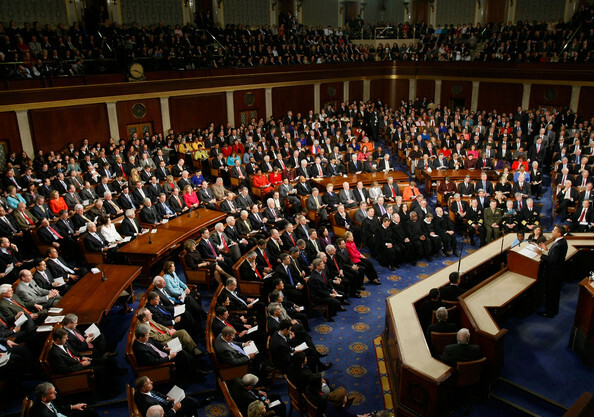 President Obama famously scolded the court for its 2010 ruling enabling corporations to give unlimited amounts of money to political candidates. The justices had to take it. Personally, I thought the president was wrong to do so in that venue and it surely rankled the court majority that decided the infamous Citizens United case. Who’s going to stay away from Trump’s speech? Will it be, say, one or two of the court’s liberal justices? Who stands and claps and who sits? This is a fairly normal occurrence. Lawmakers of the president’s party usually clap and cheer at everything that comes out of the president’s mouth; those on the other side don’t. Republicans didn’t much cheering for Barack Obama during the eight years he spoke to joint sessions. I rather doubt Democrats will, either, when Trump stands before them. His defense-spending boost will be a big topic. He wants to spend $54 billion more on defense, ostensibly to “rebuild our military.” At what cost? Which domestic programs get the axe? Which Americans will feel the pain? Maintaining military strength usually is a non-partisan/bipartisan issue. Something tells me when the president gets around to that one, we won’t see much cheering from Democrats. I don’t expect to hear the names “Michael Flynn” or “Vladimir Putin” come from the president’s mouth. I don’t expect either to hear him say the word “Russia.” Nor do I expect him to talk about things such as the difficulty he is having assembling his government; key appointees keep dropping out for one reason or another. But let’s get ready — ladies and gents, boys and girls — for an interesting show this evening, shall we? Pass the popcorn … and the Pepto. My day is almost over, but before “I lay me down to sleep,” I want to offer this minor regret about the craft I pursued for 37 years. My handwriting has gone straight to hell. I was blessed with good penmanship as a child. I got good grades from my elementary school teachers who used to actually grade students’ penmanship. My parents both had exquisite penmanship. I have in my possession a stack of letters Mom wrote to one of her brothers in the late 1940s. Her handwriting was impeccable. I came of age with that kind of handwriting. I was inducted into the Army in 1968 and wrote letters home constantly. Dad would share them with friends and other family members. I came home from the Army in the summer of 1970, re-enrolled in college in January 1971 and started taking mass communications classes. I became a reporter, which required those of us in the profession at the time to learn how to write rapidly. I had to take copious notes from subjects I would interview. When one has to write like that so frequently, it stands to reason that one’s penmanship is going to suffer. I finished school, got started in journalism. I kept writing quickly. My handwriting kept deteriorating. Now? It’s shot all to hell. My wife needles me good-naturedly about it on occasion. She remembers my good penmanship. Yes, I know that penmanship no longer is even taught in school these days. Children operate handheld “devices” to communicate. Many of them can’t tell time by looking at an old-fashioned clock dial. My handwriting got so bad that I actually fantasized about some judge issuing a subpoena ordering me to turn over my notes. Hah! Go ahead and try to decipher this scribble, Your Honor! 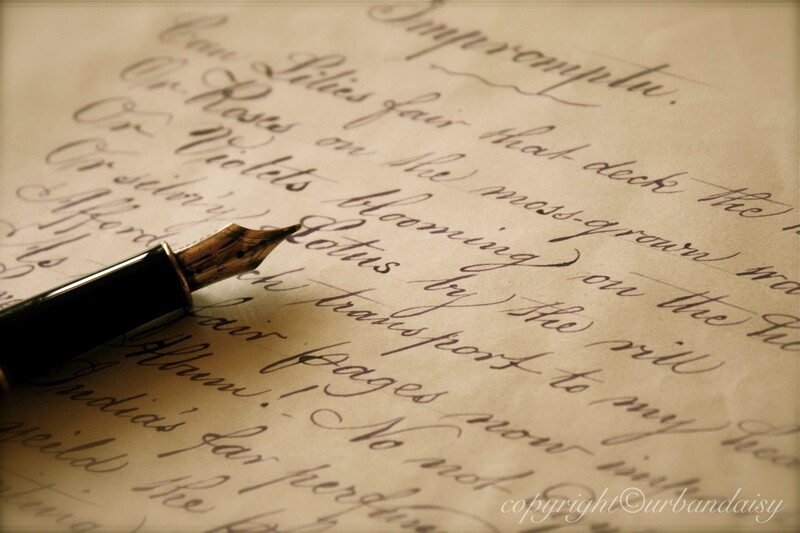 But I do regret that I no longer can write with precision. Mom and Dad no doubt would be unhappy with this admission. Paging Kellyanne Conway; hello, Kellyanne? Is it me or has Kellyanne Conway gone missing? Is she MIA? Do we need to call out an all-points bulletin to find her? Immediately after Donald J. Trump was elected president, you couldn’t escape Conway. She was everywhere. Conway was able to make appearances on every cable and broadcast news show on the air. She was seemingly being interviewed by news anchors all at once. A lot of media talking heads spoke kindly of Conway. She seemed to be on first-name bases with Chuck, George, Sean, Chris, Robin, Jake, Wolf … all of ’em! They welcomed her with open arms. I used to joke that former Amarillo Mayor Debra McCartt defied the laws of physics by being everywhere at once. 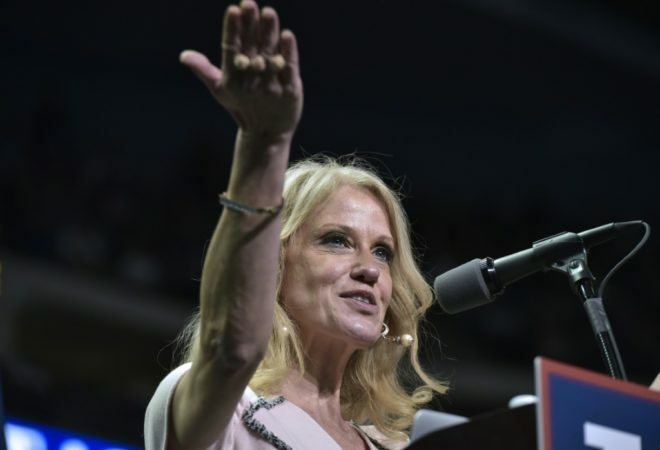 The same thing might have been said of Conway, who after the 2016 presidential election was appointed senior policy adviser to the new president. Then she spoke of “alternative facts.” She had this way of saying that the president was “100 percent behind me” after she spoke about a terror attack that didn’t occur, the fictitious attack in Bowling Green, Ky.
Oops! “Morning Joe” hosts Joe Scarborough and Mika Brzezinski disinvited her from future appearances on their MSNBC show. Why? She had lost her credibility with them. Reports abounded that Trump had reeled her in. The White House denied it. Conway has been virtually absent over the past, oh, two weeks. Hello? Kellyanne? Are you out there? Somewhere? Back when I was working for a living as editorial page editor for two newspapers in Texas, one of my ongoing tasks was to boost voter turnout for municipal elections. For the most part, I butted my head bloody — figuratively, of course — trying to get residents in Beaumont and then in Amarillo to get off their duffs and cast their ballots. Amarillo is going to the polls on May 6. The city is going to produce another new City Council majority, with three incumbents choosing not to seek new terms. One of them is the mayor, Paul Harpole; the other two are City Councilwoman Lisa Blake and Councilman Randy Burkett. That’s three out of five seats that will welcome new occupants. Change is afoot. How will Amarillo voters respond? Since I no longer predict anything political, I’ll refrain from doing so here. If history is any guide, we are headed for another dismal turnout in a couple of months. Single-digit percentage turnouts have occurred frequently during the 22 years I’ve been watching municipal elections in Amarillo. Oh sure, occasionally we get a “spike” into the 20 and 30 percent range. Those events occur usually when we have much-hyped and ballyhooed ballot measures. Do you recall the two efforts to ban smoking indoors, both of which were defeated? Or how about the 2015 multipurpose event venue vote, which approved the MPEV? In 1996, Amarillo voted in favor of a resolution to sell the publicly owned Northwest Texas Hospital to a private health-care provider. They all produced greater-than-normal turnouts. Were they great, as in great? My recollection is that the first smoking ban vote attracted a 30-percent turnout. Thirty percent is nothing to brag about. 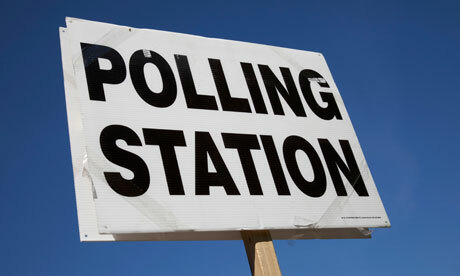 It means that seven out of 10 registered voters sat on the sidelines. Shameful! At the risk of repeating myself, I am going to remind readers of this blog who happen to live in Amarillo of this fundamental truth. It is that local elections matter in a tangible way far more than votes for president or members of Congress; they matter more than votes for governor; the Legislature, though, is a different matter, as our legislators decide on bills that could have an impact on our community. City Hall is where these issues matter. It also matters who we elect to decide them. They set our local tax rates. They decide how many cops we have patrolling our streets. They determine the level of fire protection we get. They ensure our water flows, our lights shine and garbage gets picked up. The municipal ballot will decide who fills all five of our City Council seats. All of those positions have contested races on the ballot. Are we going to vote? Or are we going to let our neighbors — some of whom we might detest — decide who makes these policies for us? It’s your call. I’ll remind you later to be sure to vote. Welcome back to the political arena, Mr. President … even if you remain on the edges of it. 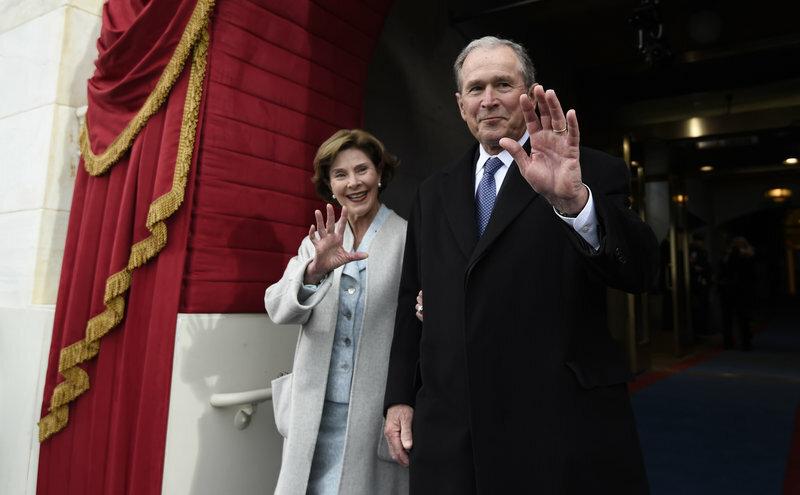 George W. Bush, who maintained stone-cold silence during Barack Obama’s presidency, has now decided to weigh in on some of the issues dogging the current occupant of the White House. He is being a gentleman about it, but one cannot help but believe that his genteel approach to criticism masks an attitude with a bit more bite. NBC’s “Today” host Matt Lauer interviewed the 43rd president this morning. Bush made quite clear that he disagrees with Donald J. Trump’s view that the media are “the enemy of the people” and that the war against terrorists isn’t a war against Islam. The former president had made a pact that he wouldn’t criticize President Obama. He said the job of being president is difficult enough without former presidents weighing in with their own view of how to run the country. If Obama wanted his help, Bush said he could pick up the phone, call and ask for it. I cannot get past the personal aspect of what the former president might think of the current president. It was Trump, you’ll recall, who called the Iraq War a “disaster.” He also launched intensely personal insults at the ex-president’s brother, Jeb, who was one of 15 Republican Party primary opponents that Trump vanquished on his way to the GOP nomination. Bush didn’t attend the GOP convention; neither did Jeb, nor did the men’s father, former President George H.W. Bush. Blood, as they say, is thicker than, well, almost any other substance. 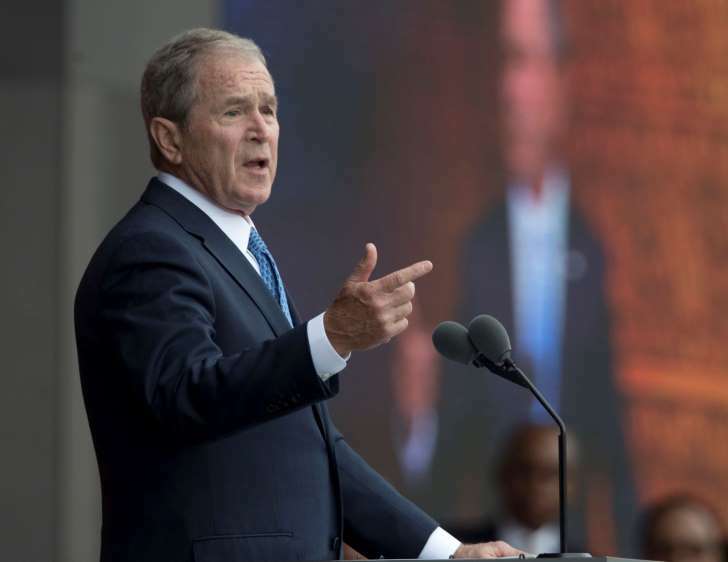 No one should expect George W. Bush to throttle up his return to politics into a full-time endeavor. Still, I happen to one who welcomes his world view while the current president struggles to get past serious questions about national security and whether the Russians helped him get elected. Today is Monday. It’s a “work day” for those who still have to work for a living. It’s also a day in which I made a realization as I walked down the street to collect my mail, before I ran an errand to purchase a couple of musical tickets for my wife and me. It was the realization that I do not miss going to work each day. I am now entirely comfortable in my retirement skin. I still work a part-time job. There might be another one resurfacing down the road. However, the idea hit me like a slap in the face today that I no longer miss the daily grind, the deadline pressure associated with the craft I pursued for 37 years. I damn sure don’t miss the phone calls from those who dislike something I wrote, some of which ended with someone impugning my integrity, my patriotism … and even my religious faith. Daily journalism delivered many gifts to my family and me over many years. It enabled me to do something I still love to do, which is to share my opinions with others and to write editorials on behalf of the newspaper for which I worked. It provided me with a comfortable living — even as I was forced to take two cuts in pay during the latter years of my employment as my corporate employer struggled to rid itself of the mountainous debt it had accrued. My job gave me the opportunity to see and do things most folks don’t often get to do: landing atop an aircraft carrier and then being catapulted off the deck is one of those things; flying over an erupting volcano is another; attending and reporting on two presidential nominating conventions ranks up there, too. That’s all in the past. I remember the vast bulk of my career with great fondness. The final years? Well, not so much. The end of it and how it occurred? Not at all. These days I am free to run errands during the middle of the work day, in the middle of the week. My wife and I avoid the crowds that way, you know? This new life also enables me share these views with you on this blog, which keeps me — more or less — in the game, such as it is. 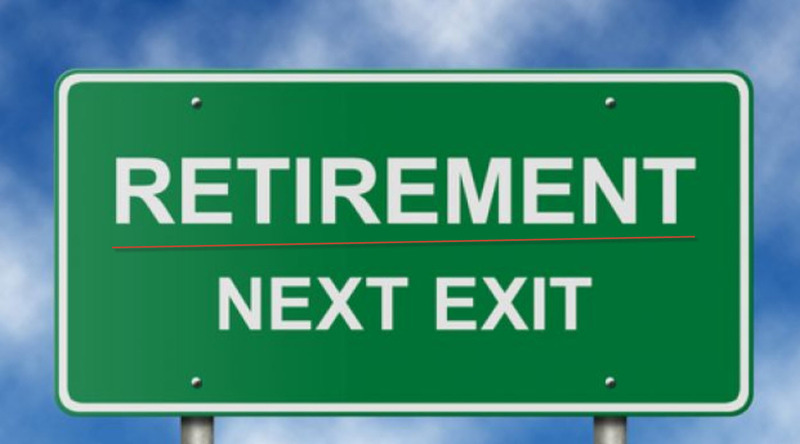 Yes, this retirement life is getting more fun all the time. The 45th president of the United States has launched a multi-front war: against the media and against our nation’s major trading partners. I’ve discussed the media war already. The growing trade war is another critter altogether. The Dallas Morning News has published an interesting essay that suggests the first victim of the trade war will be — get ready for this one! — the cattle producers from Texas, of all places. Why is that so strange, so ironic? 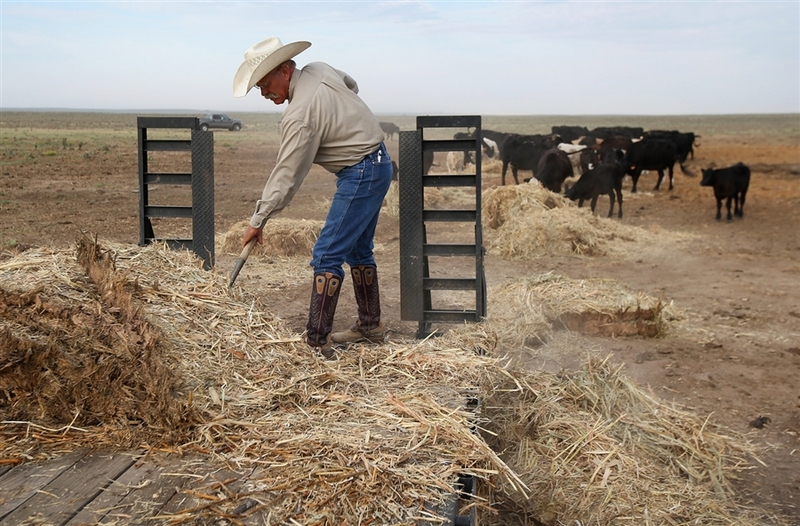 It could be that Donald J. Trump had no more loyal ballot-box supporters in the 2016 presidential election than those who produce beef in the Lone Star State. The irony is rich, indeed. Trump pulled the United States out of the Trans-Pacific Partnership, which would have opened up another huge market for Texas red meat. That deal is a goner, too. Much of the rest of Trump Country — throughout the agricultural Midwest — is going to feel the pain of the president’s trade war. It’s amazing to some of us that the president would launch into this kind of blundering bluster without thinking of the consequences that his most loyal grassroots political allies will suffer as a result. Maybe you remember the bumper stickers with President George W. Bush’s face on them, with the caption: Do you miss him? The message was meant as a dig at President Barack H. Obama. Well, I didn’t miss him then. I do miss him now that a new president is in charge … and who’s decided to wage open war against the media. Trump doesn’t grasp the notion that the media play a critical role in assuring that public officials — even the president of the United States — always stay on the straight and narrow. “I consider the media to be indispensable to democracy. … Power can be very addictive,” he told NBC’s “Today.” Do you think? George W. Bush is among a handful of men who have held those reins of power. He did so for two terms. While his record is a mixed one, he always seemed to comprehend the limits inherent in the power of the presidency. The First Amendment guarantees a “free press.” It prohibits the government from interfering in the media’s effort to do their duty. Trump doesn’t get it. President Bush does get it. “We need an independent media to hold people like me to account,” “W” said. Do I miss the 43rd president? What are we talking about this morning? Donald Trump? North Korea? Climate change? Oh, no. None of that. 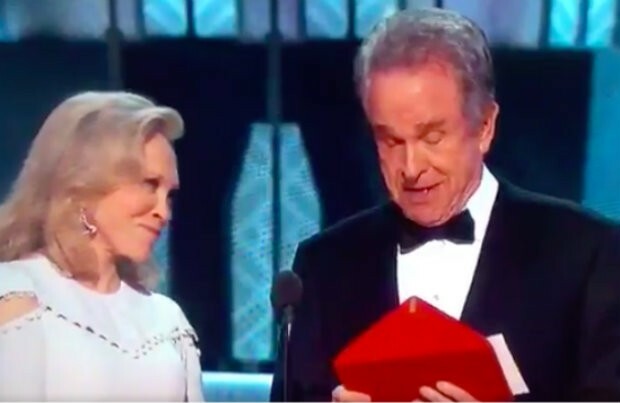 Many of us are talking about Warren Beatty and his “Steve Harvey moment” at last night’s Oscar ceremony. Reluctant as I am to comment on entertainment news, this is kind of a big deal if you follow this sort of thing. Beatty mistakenly blurted out “La La Land” as the winner of the best film Oscar — except that the real winner is “Moonlight.” The “La La Land” cast and staff poured onstage to accept the honor, only to learn that Beatty goofed. It reminded everyone in the Hollywood, Calif., hall of what happened this past year when Steve Harvey announced the wrong name as the winner of the Miss Universe pageant. Harvey hasn’t lived that one down … yet. My own view? Hey, crap happens, man! It ain’t the end of the world. I am quite sure, though, that Harvey has sent Beatty a note — via some form of social media — thanking him, in a manner of speaking, for proving once again that human beings indeed are fallible creatures. Now, let’s all get back to the big stuff.